This next car comes from tipper Art C who writes: M3/4/6. Has a few miles on it... hmmm, how reliable are these? Reliable? Who cares? This is V8 equipped M3 sedan that puts 414 horsepower and 295 ft-lbs of torque into a 6-speed manual box that'll light up the rear tires before you can say farfegnugen. 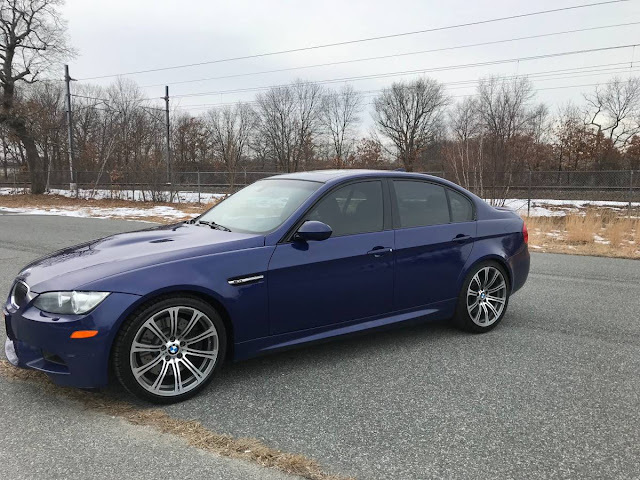 This isn't just the ultimate driving machine, this is the ultimate ///Motorsports machine and I CANNOT BELIEVE IT HAS DEPRECIATED about $45,000 in the past 10 years. Find this 2008 BMW M3 offered for $15,500 in Rhode Island via craigslist. It really doesn't get any faster or more capable of a "car" for $15k. Right? Find another car that'll do 60mph in 4.3 seconds AND seat 5 adults, please turn properly. My family dream car. I can hear the kids in the backseat now: "look dad, there's a Mustang! Get him!" I'm just stunned that this was a $60K car when new. Really? A 3-Series sells for that?! I know it's an M3, but holy moly. That's just crazy to me. I guess one could say higher milage = no rod bearing and other nasty repair issues? I'm not scared of high milage M cars - probably because they are the only ones I can afford! I would want service/repair records. That's a great price for an outstanding automobile. They only go this long and look this good when properly cared for. I would buy this one before a 90k example with plasti-dip'd rims, all day. Yeah, too many M3s end up looking like they've been owned by a Subaru enthusiast these days. I guess its just a car...but I like my Mmms to be stock because they are so nicely setup by the factory. Still have the giant dealership banner in my garage. 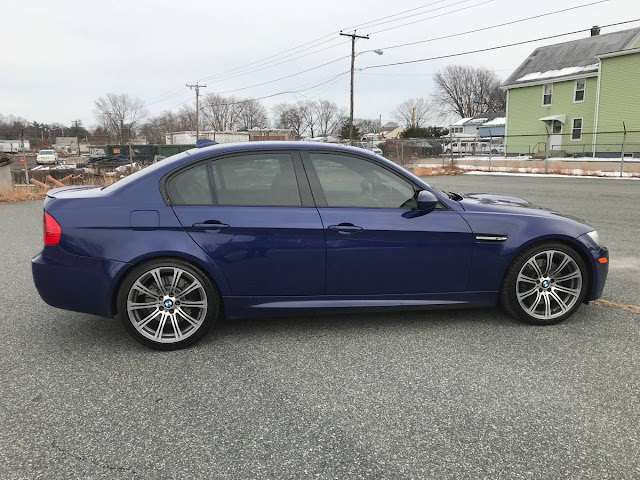 I have one of these E90 M3 sedans (though mine’s a couple of years newer, with half the miles, and with the DCT rather than the 6-speed). It has been amazingly reliable (knock on wood) and is an absolutely excellent car in every imaginable way. (Unless you care about fuel economy of course—the damn thing burns more gas than a flamethrower.) These cars do EVERYTHING well and this looks Iike a fantastic deal even with the high miles. Most M cars (NA cars in particular) are plenty reliable when cared for by conscientious, dedicated owners. If you treat high end cars like farm equipment, they self destruct. Treat them like airplanes and they look and feel new 20 years later with at 200k. Also helps to be an oil baron, or be able to turn a wrench.